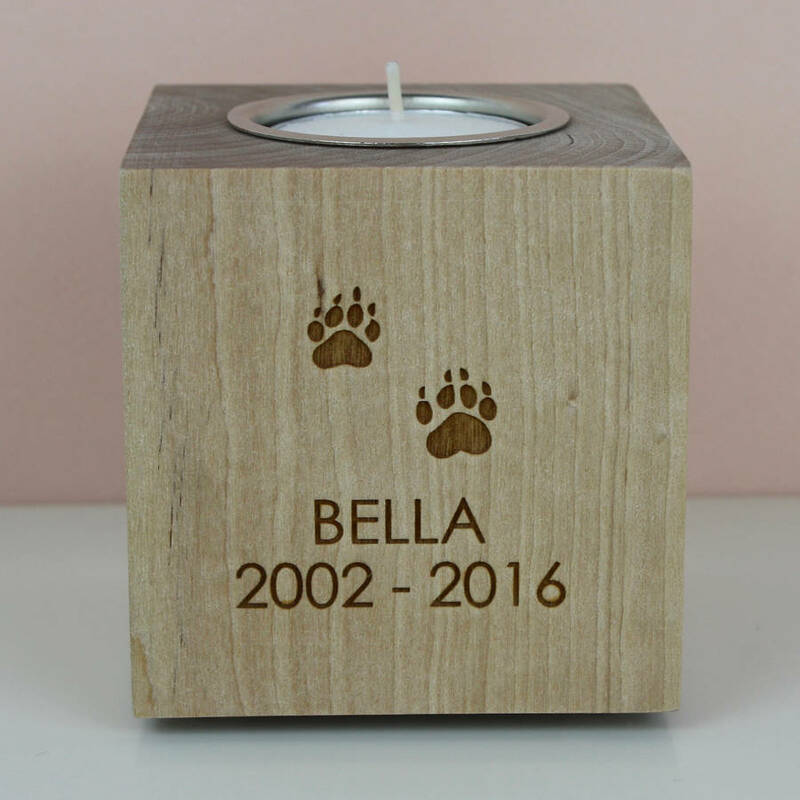 A pet memorial tea light holder in solid wood personalised with a laser etched motif and text to commemorate the life of a beloved pet. 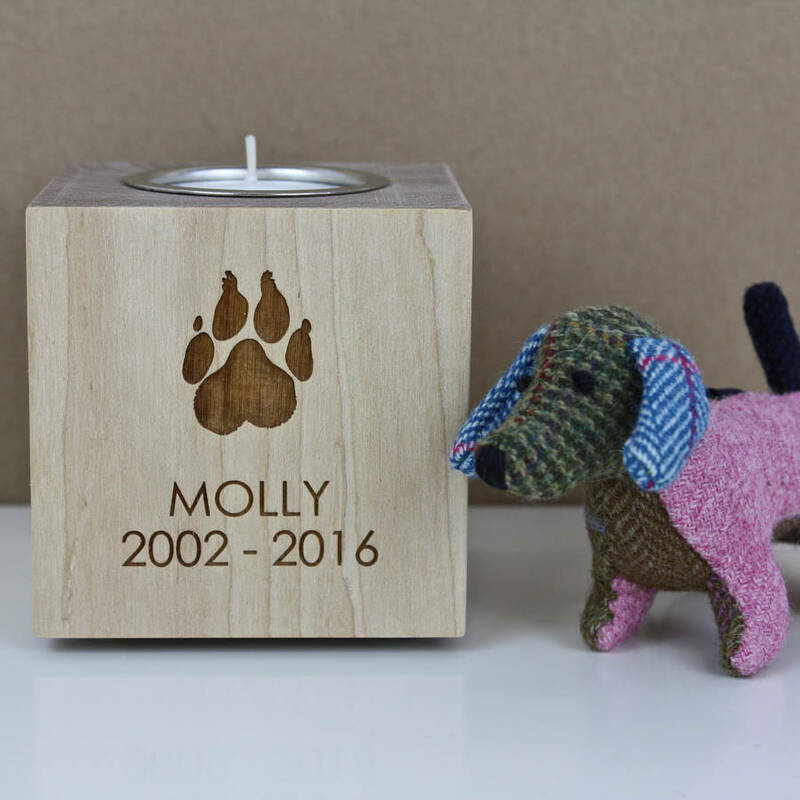 Each of these beautiful candle holders are hand made to order from a solid wood block. Your choice of paw motif and text are laser etched into the face of the wood. 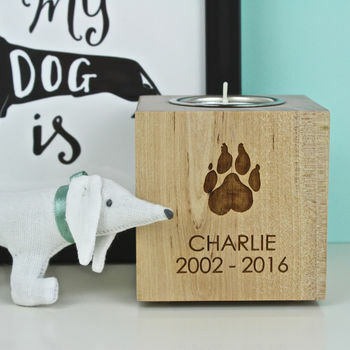 Dates are optional if you would prefer just to have a pets name. 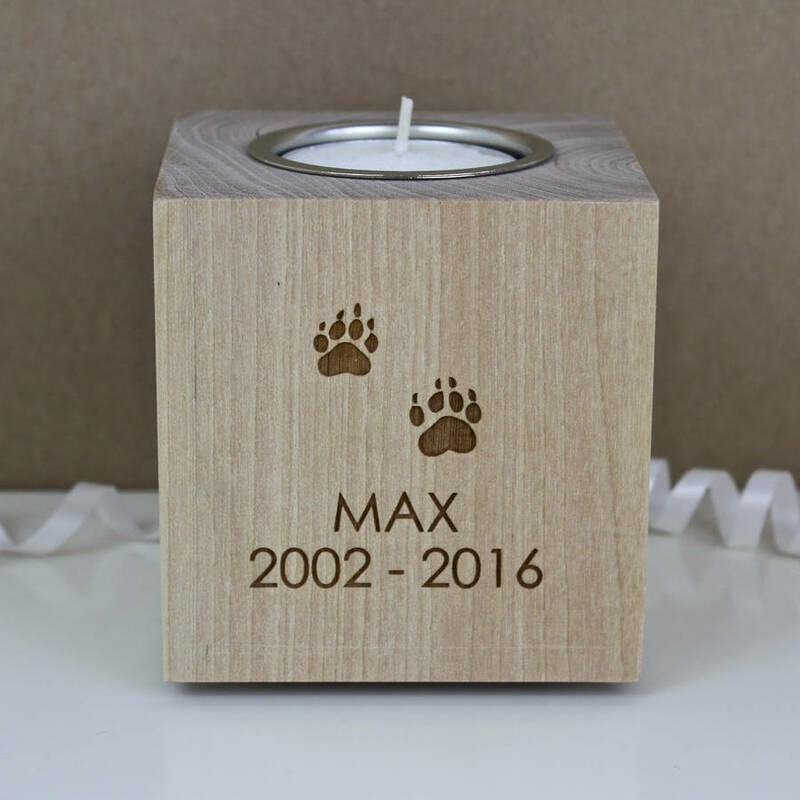 The well for the candle is lined with a metal cup for added style and practicality. 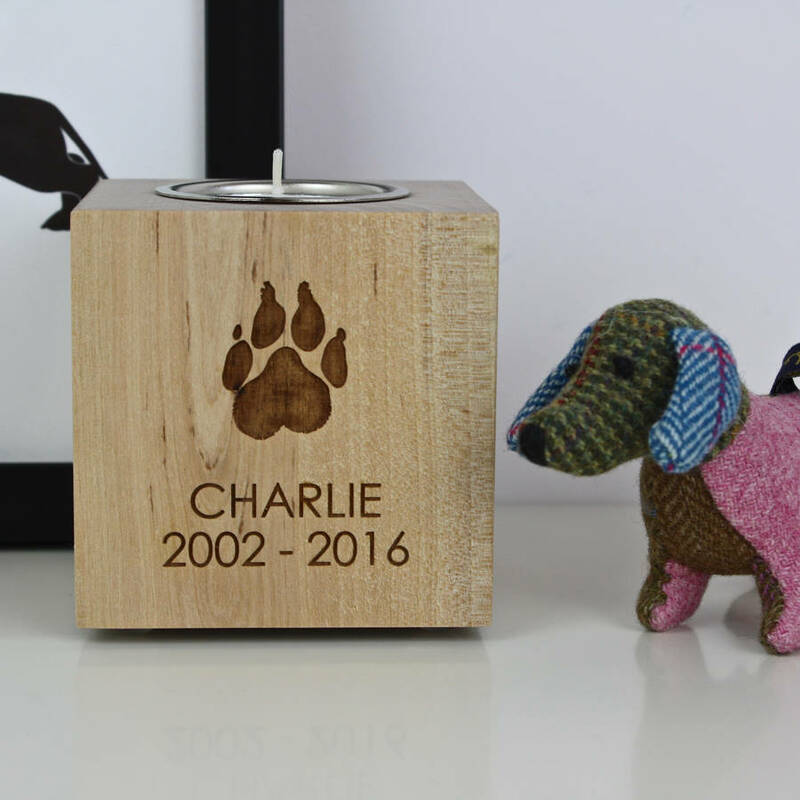 The base of the block is fitted with four padded feet to protect furniture surfaces. Each order is carefully wrapped so that it arrives to you in perfect condition. This is not a toy therefore please do not leave a lit candle unattended. Solid oak block & metal cup.